It’s that time of year again – summer is winding down and it’s time to start thinking of back to school. With the return to classrooms and learning comes a return of packed lunches. 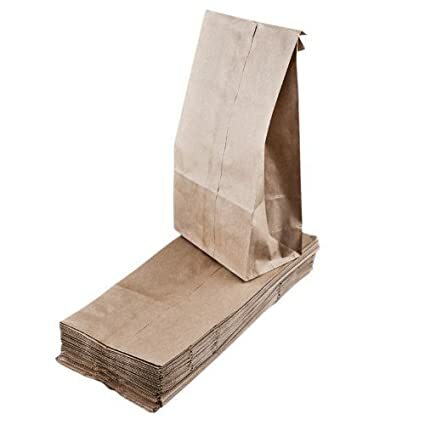 Gone are the days of the brown paper bag – unless you’re still into that, in which case we’ve got you covered! – and in is the era of bento boxes, insulated cooler systems and plenty of nifty lunchtime gadgets and doodads. There are more options than ever before when it comes to packing your little ones a healthy and nutritious midday meal. It’s important to keep in mind proper food storage when packing your child’s lunch. The CDC estimates that about 1 in 6 Americans (or 48 million people) get sick, 128,000 are hospitalized, and 3,000 die of foodborne diseases each and every year, which makes ensuring your child’s lunch is safely packed is of the utmost importance. Young children, pregnant women and the elderly are all at increased risk of contracting a foodborne illness. Add a cold pack if their meal needs to stay cool and pack hot meals in a thermal container of some kind. Here are 50 of the school lunch supplies and accessories for kids that we consider to be the coolest and handiest to have, based on available features and average customer reviews. These glass drinking bottles are a favorite among parents and kids alike for their sleek design and bright, fun color combinations. 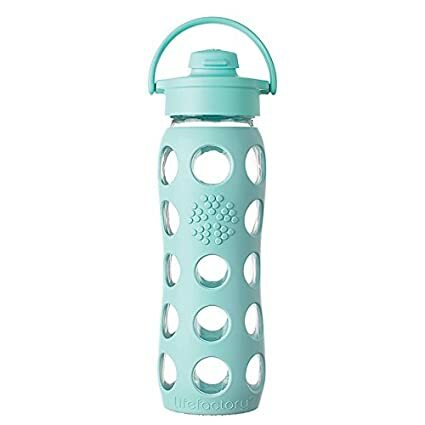 This size features a flat cap or can also fit the sippy cup lid for easier drinking, and the silicone sleeve makes gripping the bottle even easier for little hands. 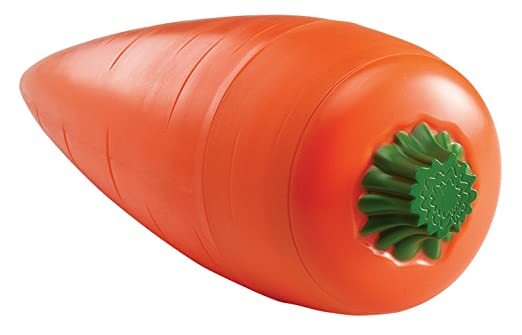 Go all meta on your little ones by serving them up a carrot and dip snack inside of a carrot-shaped storage container. All storage pieces stack together for ease of portability. 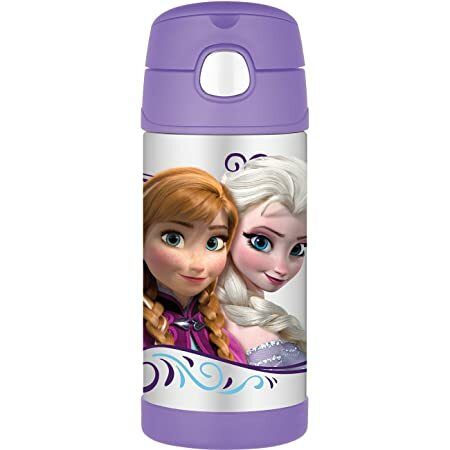 Help keep cold liquids cold for up to 12 hours with this Frozen-inspired thermal storage bottle. 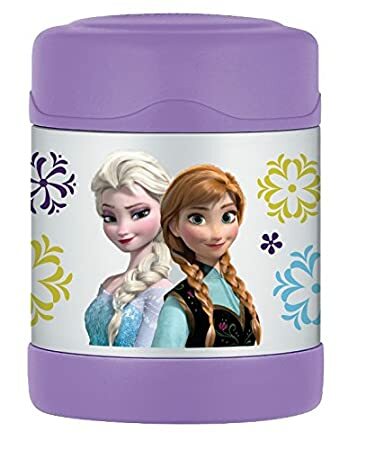 Kids will love the Elsa and Anna motif and you’ll have peace of mind knowing their drink remains at a safe temperature all day long. This little spork multipack makes packing your child’s lunch a breeze. 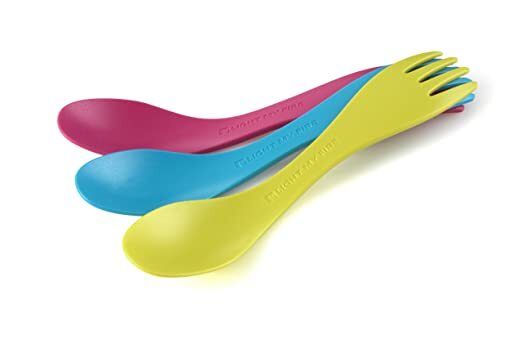 You won’t have to worry about packing a full cutlery set for your child each day as this spork has a spoon on one end and a fork on the other. Cuts down on packing and washing! 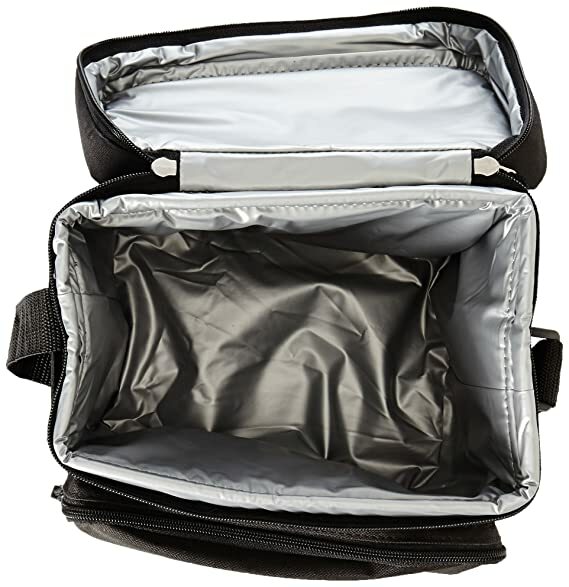 This lunch bag offers multiple storage compartments and is insulated to help keep your child’s lunch at the perfect temperature. Available in a choice of color options and designs to suit every style. 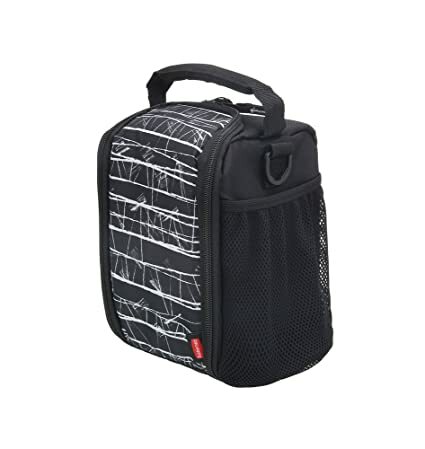 Known for their durable, high-quality products, this Rubbermaid lunch bag is no exception and features a convenient carry handle and shoulder strap for ease of portability. There’s plenty of space in the bag and even a side pocket to carry a water bottle. 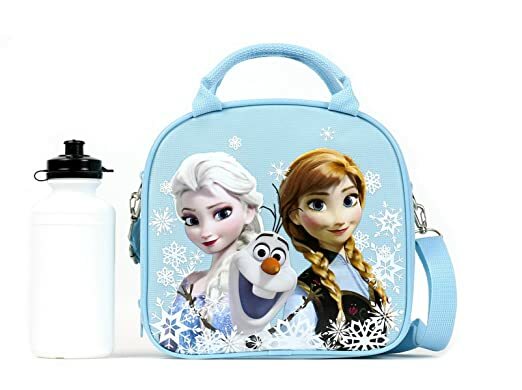 Get in on the Frozen fun with this cute lunch bag that features an easy carry handle and a shoulder strap. This lunch bag also comes with a water bottle to help ensure your little one is hydrated all day long. 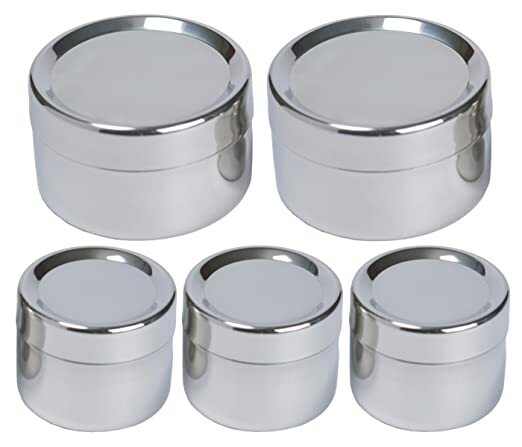 This high-quality stainless steel food storage container is ideal for packing any number of ‘dry’ lunch items and comes in several sizes and lid colors to make your child’s lunch a stylish affair. 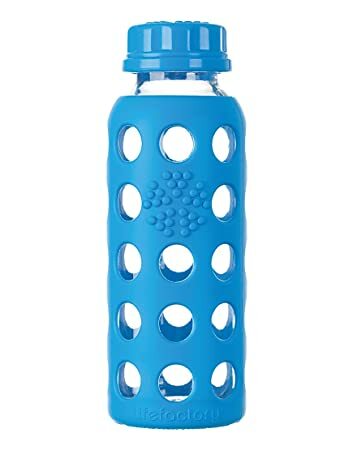 These glass drinking bottles are a favorite among parents and kids alike for their sleek design and bright, fun color combinations. 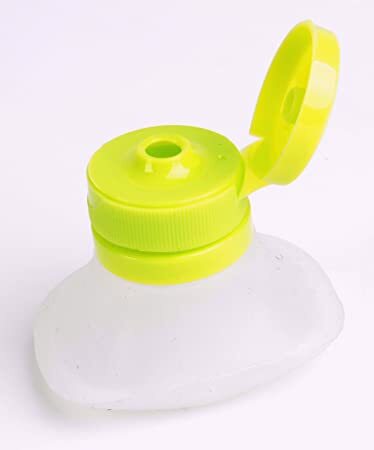 This size features a flip cap that can also be easily interchanged with all the other large-sized drinking lids, and the silicone sleeve makes gripping the bottle even easier for little hands. 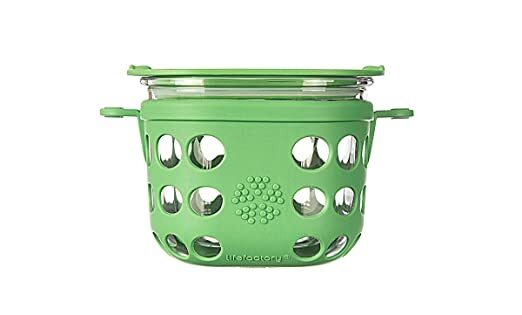 This cute little celery-shaped storage container is a fun way to send your little one off to school with more veggies in their lunch and even has a handy dip container that stacks together for easy storage and portability. 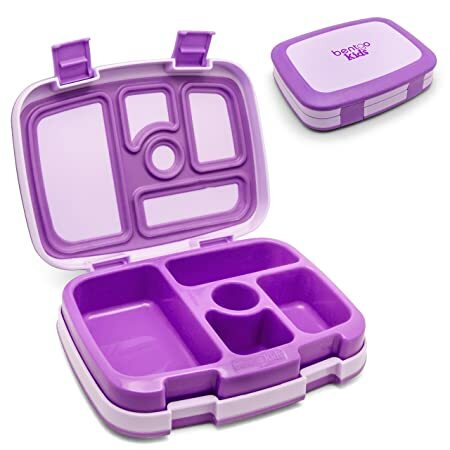 This lunch kit offers an all-in-one meal storage solution for your child’s school lunch with multiple storage containers which lids also double as plates, cup, and a spork. 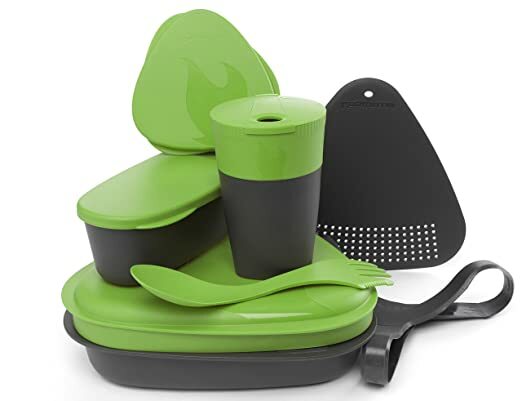 A number of space-saving and intelligent designs make this ideal for on-the-go eating. 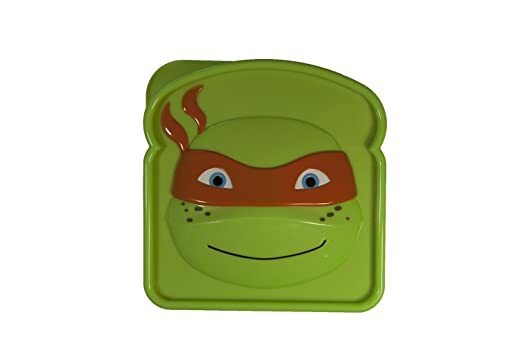 Send your little one’s sandwich to school in style with this Teenage Mutant Ninja Turtle sandwich storage container. This helps prevent the sandwich from squishing and spoiling like in plastic zip storage bags. 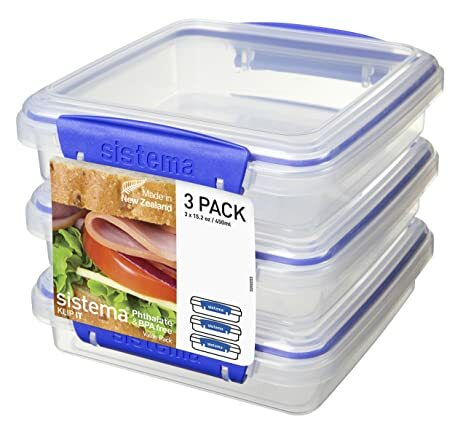 Available in a number of different kit options to suit your lunchtime needs, these storage containers are a durable, leak-proof solution for packed lunches. 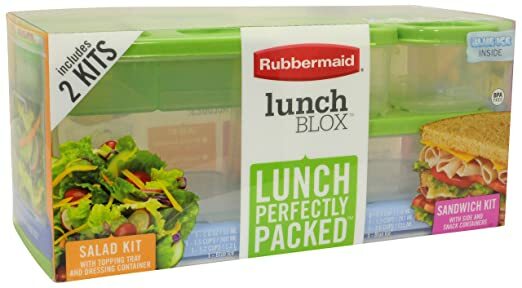 Compatible with the Rubbermaid LunchBlox lunch bag listed above. 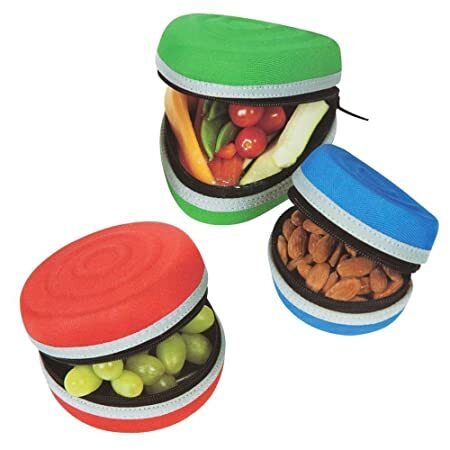 This set offers a three-in-one food storage solution to help make packed lunches more organized and better able to fit in your child’s lunch box. Adjustable clips can be customized so even the littlest eaters can open them on their own. 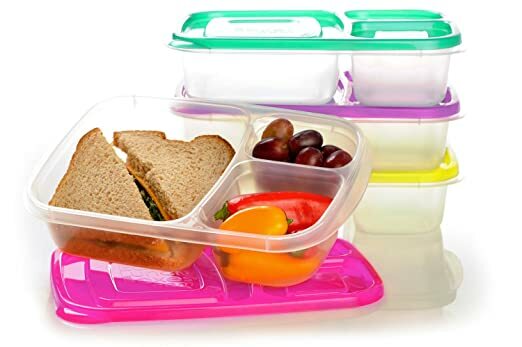 This glass food storage container features a silicone sleeve to help prevent slips and breakage and is available in a selection of colors to suit nearly every style. The tempered glass and sleeve is even oven- and freezer-safe – plus, it’s made in North America. Take your spices and seasonings on the go with this handy little gadget. 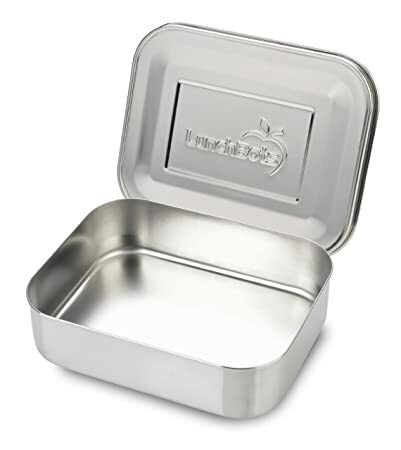 It features an air and watertight design to ensure the ultimate freshness of whatever is stored in it. Can also be used for medications or small amounts of liquids. This thermal food storage container will match the cold beverage one listed above thanks to its Frozen design. Ideal for keeping cold foods cold up to 7 hours and hot foods hot up to 5, it’s designed to provide maximum temperature retention. Thanks to its airtight seal, this sandwich box food storage container will help keep your child’s lunch fresher, longer, and the multipack option means you won’t have to wash dishes every day. Choose from clear containers or a colored multipack for added lunchtime fun. 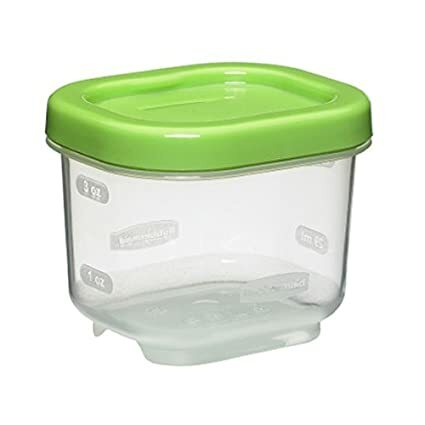 Help your little one get their greens in and enjoy salad even more with this handy salad dressing container. You can put in just the right amount of dressing without worrying about it dripping, spilling or losing freshness. Great for homemade dressings as well. 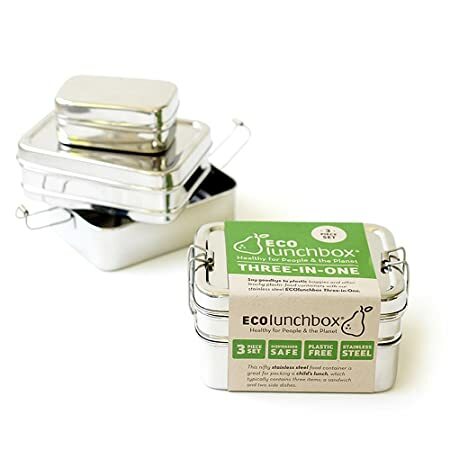 These little storage containers are ideal for snacks and sides and feature an eco-friendly design thanks to their stainless steel construction. 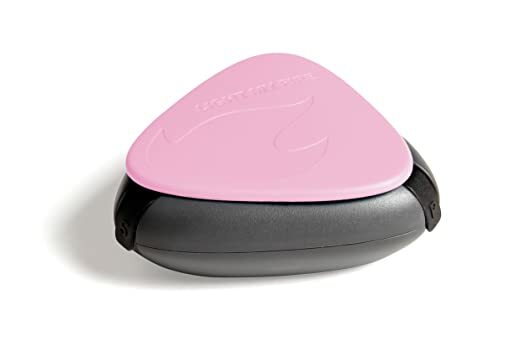 Thanks to their design they are easy for little ones to open on their own. 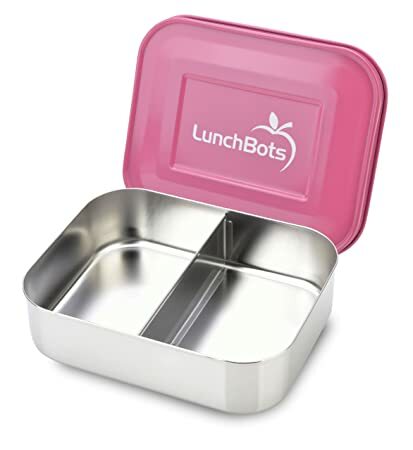 A favorite of parents for a number of years, Lunchbot containers are built to last and are made from high-quality materials. This container is ideal for snacks thanks to its two side-by-side storage compartments. They’re available in a selection of colors to suit every style. 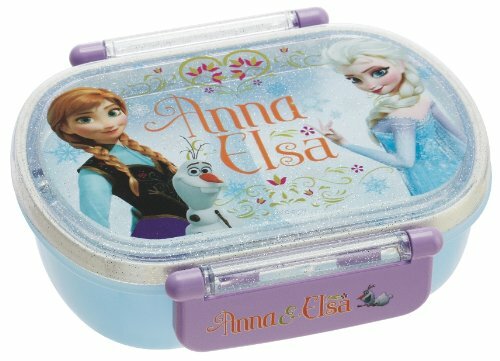 Coordinate your child’s entire lunch kit with this Frozen-themed food storage container. The container is BPA-free and features two compartments for easily packing a variety of items. 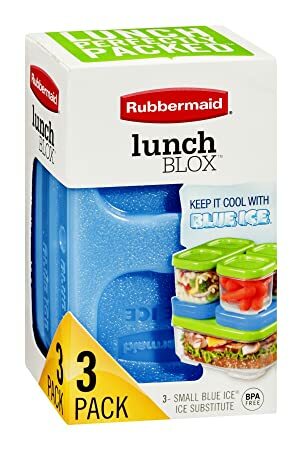 These ice packs from Rubbermaid are compatible with the entire LunchBlox system and feature a unique design that allows them to remain frozen longer (and without the mess) than regular ice. 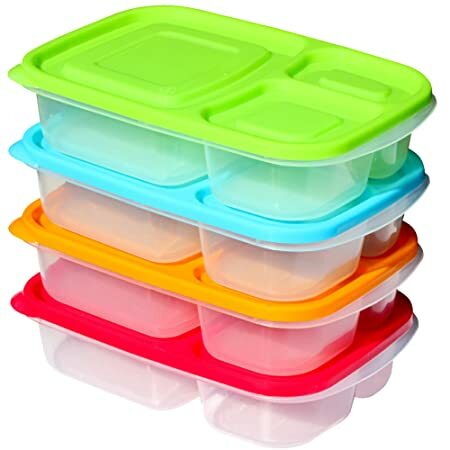 Their space-saving design allows for stacking of LunchBlox containers both above and below the ice pack. 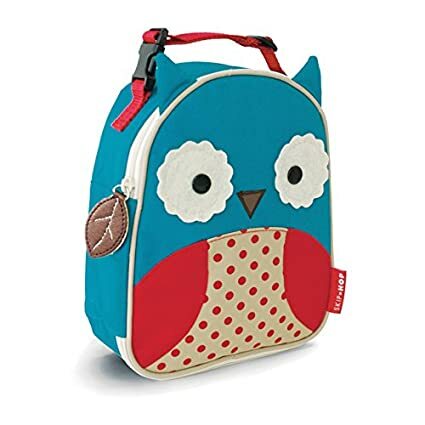 Skip Hop makes some of the most adorable products for children and their lunch bags are no exception, as this little owl shows. 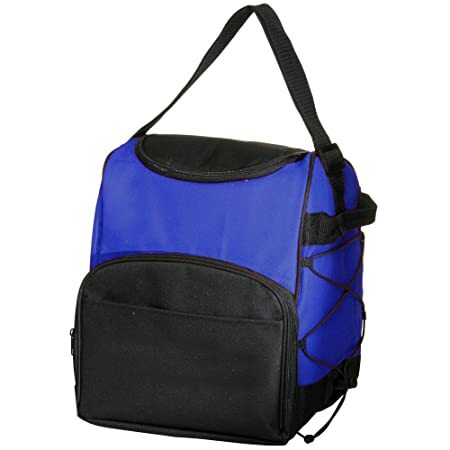 The convenient carry handle on top of the insulated bag is ideal for little hands to pick up and carry on their own. This three-compartment food storage container allows you to safely keep different foods in your child’s lunch separated and features a space-saving, stackable design. Squeezable snacks have been rising in popularity over the last few years, but store-bought varieties create a lot of waste. 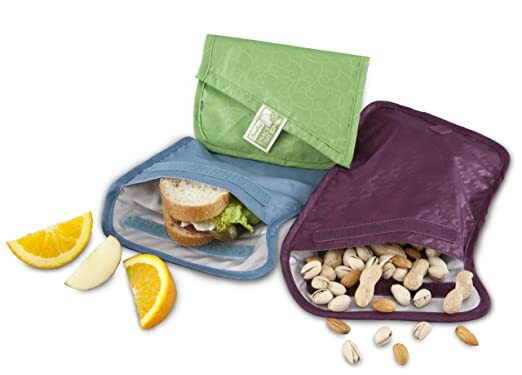 This reusable food squeeze pouch solves that problem and can be packed with your own healthy, homemade snacks (or bulk purchases). 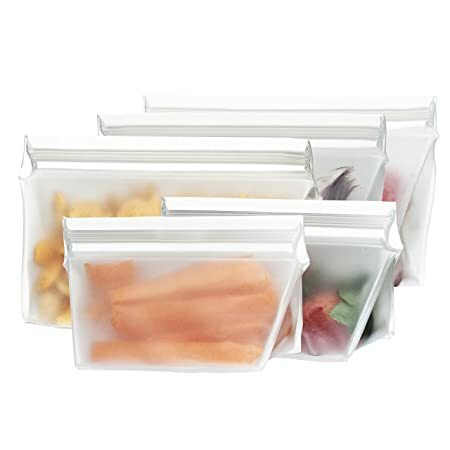 Made from recycled materials, these snack and sandwich storage bags offer a reusable solution to an otherwise highly wasteful area of packed lunches – sandwich baggies. They feature a secure Velcro closure to help contain foodstuffs. 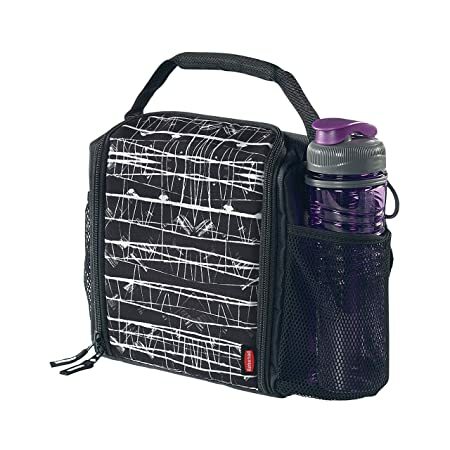 This simple-looking lunch bag features a number of smart designs including a convenient carry handle on the top and side, separate front zipper compartment for cutlery storage and side bungeed area for holding additional items. 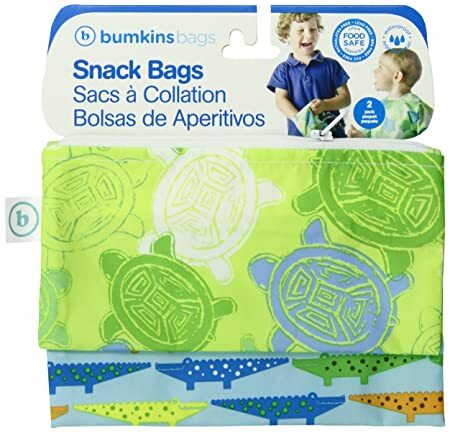 These reusable snack bags come in a number of cute designs to help make your child’s lunch more stylish and fun. It features an easy-open zipper and is quick-drying after washing thanks to its polyester construction. 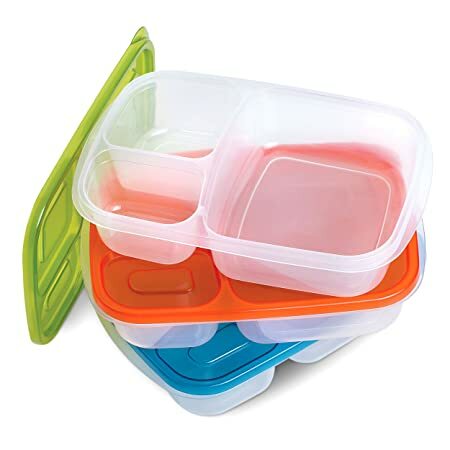 These small containers are ideal for storing sauces and dips like hummus in your child’s lunch and are compatible with the entire Rubbermaid line of LunchBlox products. They’re also convenient for smaller snacks like nuts and homemade treats. Keep it old school with these classic lunch bags. Why not get creative and draw a little picture on the bag each day to inspire your little one? You could even write thoughtful messages or create your own puzzles for them to solve on their lunch break. These reusable sandwich and snack bags offers a truly leak-proof design to aid in keeping your child’s lunch box clean and dry, while keeping food fresh. While these bags must be hand washed, the leak-proof design is worth it. 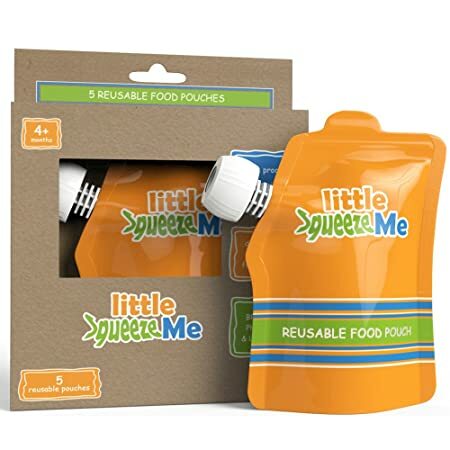 These little snack packs are a cute and fun way to pack your child’s snacks in their lunch and features a Microban liner that helps to prevent the growth of harmful bacteria which leads to stains and odors. 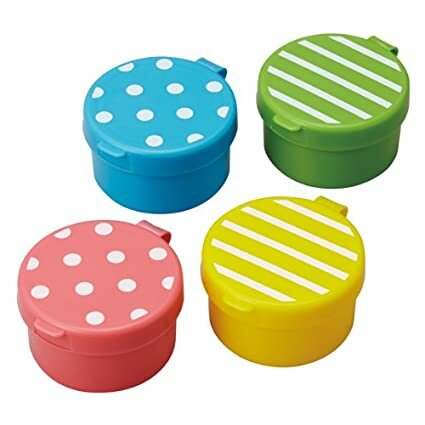 These small-sized containers are perfect for packing condiments and small snacks in your child’s lunch and come in a 4-pack with various colors and designs. They are also ideal for packing medications, should you little one require them during school hours. Here’s another instance where lunch packing gets all meta. You can now put your child’s Goldfish crackers inside a Goldfish container. 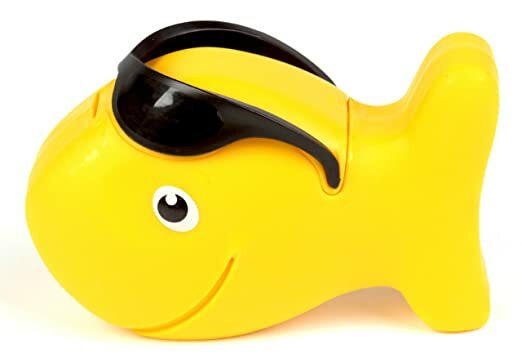 The fish’s sunglasses lift up to provide easy access to whatever delicious treats you want to put inside. 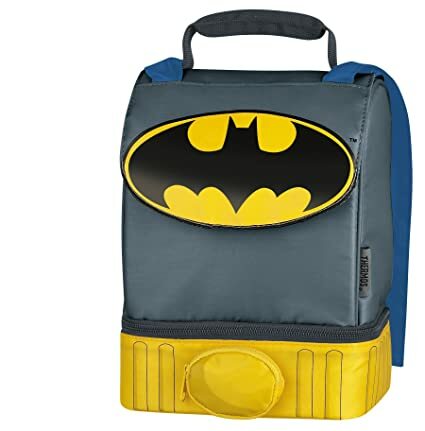 Send your caped crusader off with a healthy lunch thanks to this insulated lunch kit by Thermos. The backside of the bag even features a cape to help engage little imaginations. This bestselling bento-style lunch box set features four complete kits for ease of lunch packing and for families with multiple children in school. 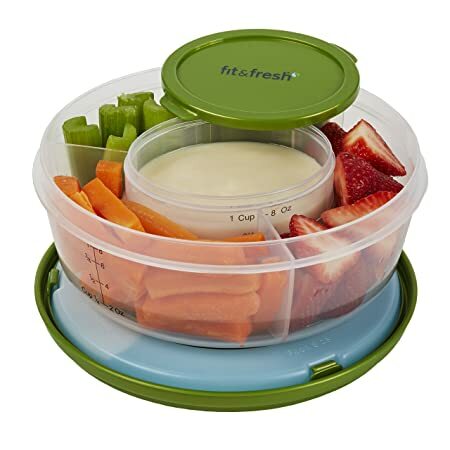 It has three separate compartments to help keep various foods separate. 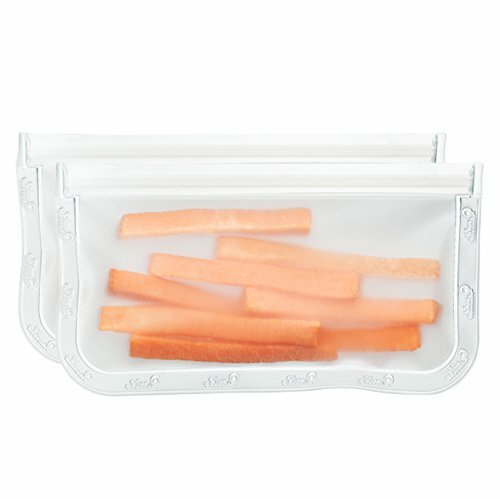 These reusable snack bags are not only great for packing healthy snacks in your little one’s lunches, but they are ideal for a number of food storage options around the house including fresh herbs, and dried beans, as well as holding together items like a small sewing kit or even loose change. 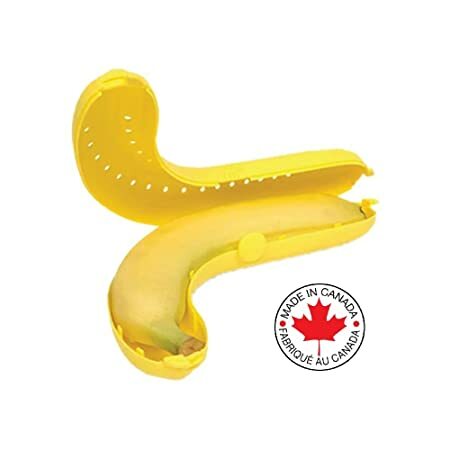 This is the one that started it all – the original Banana Guard helps to prevent bananas from being squashed and squished in your child’s lunch box, which means less waste and more nutrition. Thanks to its unique design, it can easily fit most bananas. 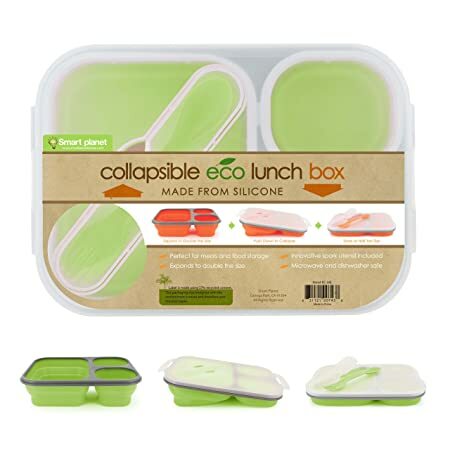 This lunch box is made from food-safe silicone and features a unique collapsible design that helps save on storage space when not in use. Available in a choice of colors to suit every style. 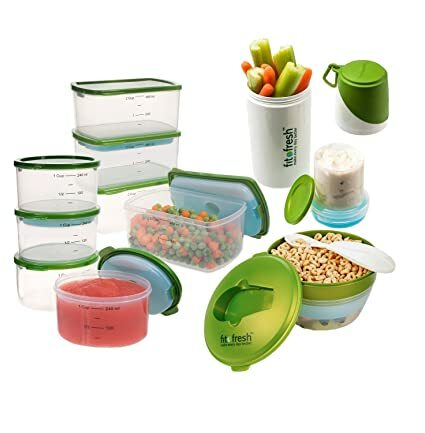 While it’s marketed as a breakfast kit, this portion control system would be ideal for lunchtime meals as well and comes complete with a bowl and soon, as well as various sized and shaped containers that can handle almost anything you might want to send your child to school with. 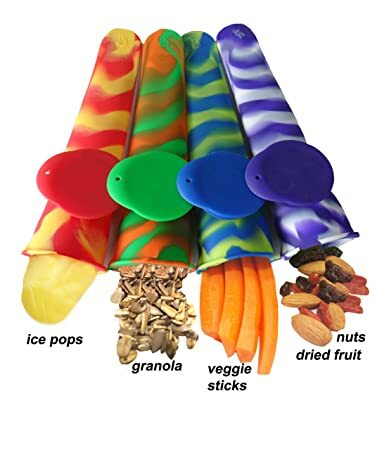 These snack bags allow you to liven up your child’s lunch box while also packing them with a healthful snack. 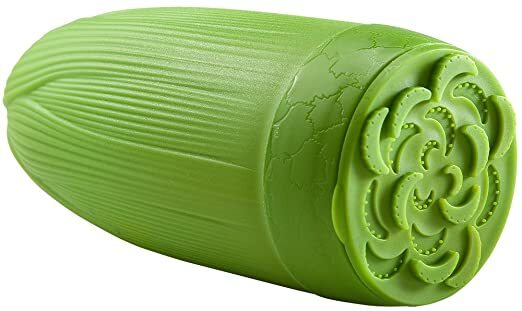 They can even be used as a mold for ice pops in the summer when school’s out! 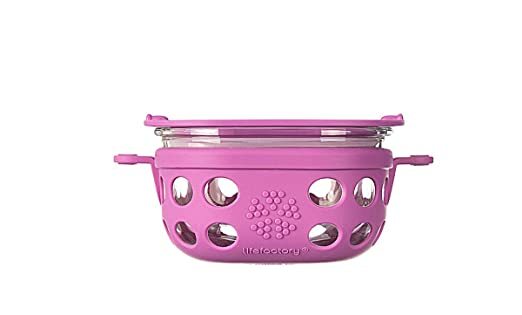 Thanks to its smart design with built-in non-toxic freezer gel, this container can help keep yogurt cups and other foods at a safe temperature for longer. 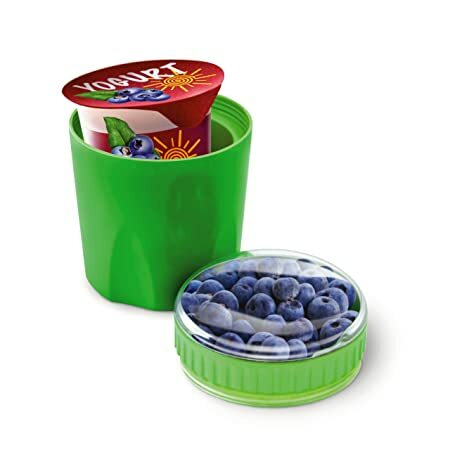 The lid compartment contains a space for storing fresh fruit or granola separately as a topper for your yogurt. One area of traditional lunch waste that’s often overlooked is drinking straws. But you no longer have to worry about the environmental impact of single-use disposable straws. 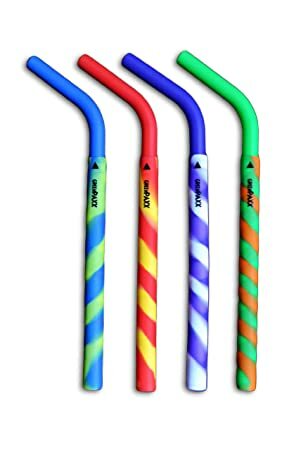 These reusable straws feature a patented two-piece design that is bendable to fit into any style cup. 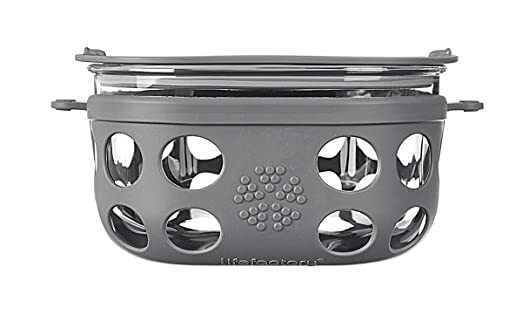 This cute little bowl offers an all-in-one solution for packing healthy veggies and dip or fruit and dip in your child’s lunch. It features three large compartments around the outside to keep various foods separate as well as a separate area in the center for dip.